Brussels-City is starting a pilot project to test the use of drones in medical emergencies. The tests are being carried out in co-operation with Take Care Emergency, a start-up that arranges emergency care through the use of volunteers and drones. The Take Care Emergency app is meant to be used as a first-response option, while the ambulance is still on its way. Red Cross and other medically trained volunteers would show their availability via the app and if an emergency call is placed, the closest volunteer would be sent to the scene. That volunteer could then call on the services of a drone to deliver needed supplies, such as a defibrillator or even blood. This could all happen faster than it would take an ambulance to arrive. It is expected to be particularly helpful during cardiac arrests, as patients’ risk of fatality increases after a period of 10 minutes. But the drones could also deliver supplies like blood between hospitals in critical situations or to the scenes of traffic accidents, for instance. The Brussels pilot project, which also has the support of the federal government, is part of the EU’s Urban Air Mobility project. “It’s important for Brussels to be open to new technologies and improvements that can decrease intervention times and save lives,” said Brussels mayor Philippe Close. The idea has some merit. But only in special situations. 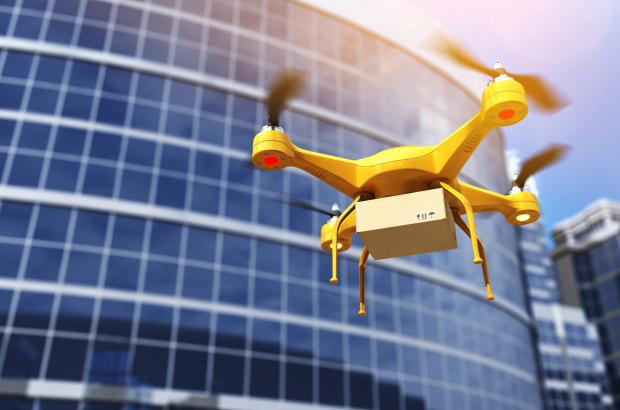 The idea of a drone being instrumental in saving someone's life by delivering items needed is possible....but I think it would be a better idea if a drone was operational on a daily basis, so that it would be better prepared for something urgent.